To investigate the short- and medium-term efficacy of inter-spinal distraction fusion (ISDF) for lumbar disc herniation with a spinal internal fixation device, the BacFuse Spinous Process Fusion Plate. Ninety-five patients who received ISDF between January 2014 and January 2015 were included for the current retrospective study. The symptoms and imaging results before surgery, immediately after surgery, at six months, and at the last follow-up were assessed using the leg visual analogue scale (VAS), Oswestry disability index (ODI), and 12-item short-form survey (SF-12). 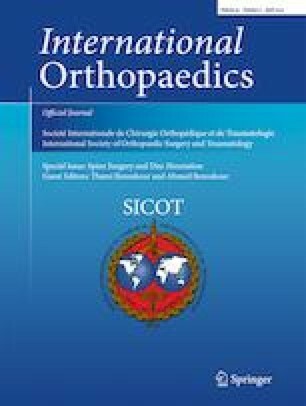 The intra-operative intervertebral angle (IA), anterior disk height (ADH), posterior disk height (PDH), foramina height (FH), foramina width (FW), and range of motion (ROM) were assessed using X-rays. The foramina and herniated disc area were assessed using computed tomography (CT). The leg VAS, ODI, and SF-12 were significantly improved after surgery. All indices except ADH were also significantly improved after surgery. PDH and FH increased by 15.5% (P < 0.001) and 9.7% (P < 0.001) at the last follow-up. ROM was statistically different from before surgery. CT images indicated that the herniated disc area decreased by 3.1%, while the foramina areas increased by 5.7% at the last follow-up. 92.6% patients demonstrated successful outcome. ISDF significantly alleviated the clinical symptoms, improved spinal structure, and partially retracted the herniated disc. Our findings imply that ISDF is an effective minimally invasive procedure in the treatment of lumbar disc herniation.